Bali is one of the most consistent surf destinations in the world. The wind and weather is also very consistent with a huge variety of world class surfing breaks in close proximity, Bali is the ultimate surf trip. Bali Surf Camp is located in the very best area of this wave rich island. There are a variety of breaks nearby suitable for surfers of all standards - from beginners to professionals. Uluwatu, Padang Padang, Impossibles, Bingin, Dreamland and Balangan are all easily accessible from the centrally located Bali Surf Camp. Bali is the premier surf destination and this is the premier Bali Surf Camp and Surf School. 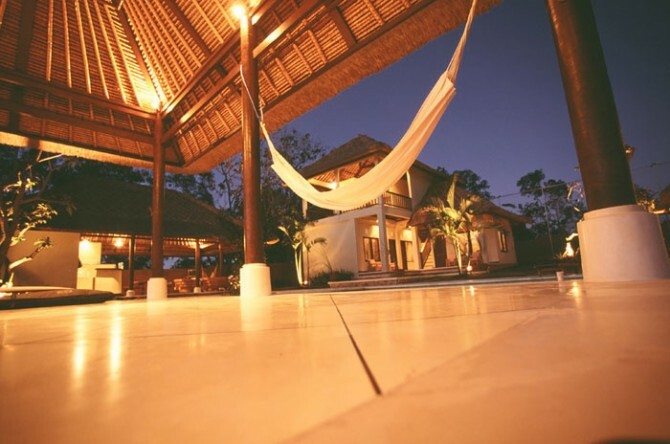 Bali Surf Camp is not an ordinary resort. We get consistent waves year round. When the west cost of the Bukit is onshore we are in easy reach of the east cost. Always surf. Always offshore. Due to the variety of breaks, we can find waves appropriate for you whether this is riding triple overhead outside corners at Uluwatu, or waist high beach break for beginners and learning surfers. We are located in an area, which is well known for its very consistent quality surf. There are a wide variety of breaks including reef, point and beach. Breaks within walking distance of the camp include Bingin (perfect barrel), Impossibles (long screaming rides), Dreamland (perfect A frame left & rights) and Padang Padang (Balinese pipeline). An easy 10 minute drive gets you to world famous Uluwatu or the more mellow Balangan. Within 20 minutes from the camp are various classic right handers including Nyang-Nyang, Green Balls, Nusa Dua & Sri Lanka. There are also many other waves in the area: Kuta beach, Kuta reef, Airport left & rights, Sanur reef, Ketewel, Turtle Island, Keramas & a few more we probably shouldn't mention. For beginner-intermediate surfers, Padang Padang (rights) and Dreamland beachbreak are near to us. Airport Transfers -- To and from the airport is included. No hassle meet and greet at the airport. 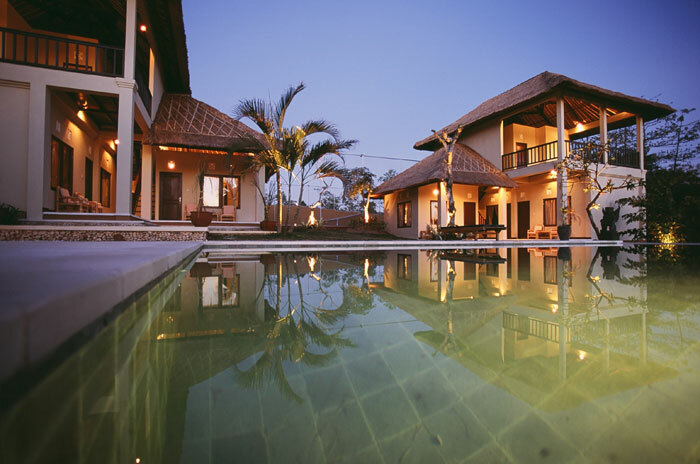 The surf camp is only a 30-40 minute drive from Denpasar international airport. Transportation -- A reliable and trustworthy driver to the beach, several times per day. Daily excursions to tourist spots. Surf Guides -- To the best waves in the area, every day. Top local surfers who will help you find the best waves. Breakfast -- Fresh cut fruit & hot food are waiting for you after the morning session. Lunch -- Western & Indonesian food served at the surf camp after morning surf. Dinner--Usually go to local restaurants. 1 free fish BBQ a week is included. Rooms -- All bedrooms are private: Standard fan, Standard air-con, Deluxe with fan or air-con or superior room with air-con. Bathrooms -- All bedrooms are private and have private ensuite bathrooms, with hot showers. Facilities -- TV/DVD player with latest movies. Tennis court. Swimming pool. Wifi -- Internet hot spot. Free broadband Wifi internet access in most areas of surf camp. Satellite TV -- International news, English language tv programs, sport & movies. Video / Photographed sessions -- Every morning we take surfing photos or video and will provide at least 2 photo/video analysis sessions per week to identify problems with your surfing technique, and propose the solution. Our photographer captures the best of the action for our daily surf report. High quality Video and Photos are free and given to you on a disc at end of your stay..